CHICAGO, ILLINOIS. 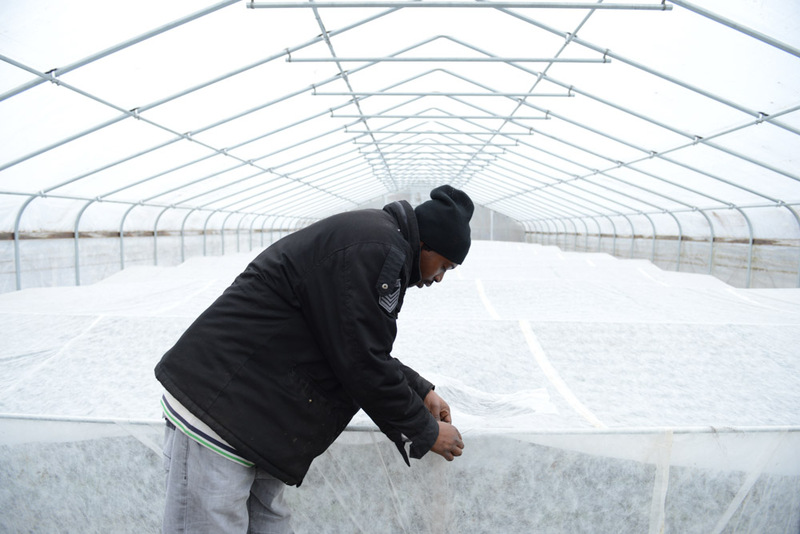 Fred Daniels, 31, the site manager of Growing Home, a community-based agriculture project, adjusts the row cover inside one of the facility's hoop houses where a range of root and leaf vegetables are grown in the high crime Englewood neighborhood on December 22, 2014. Englewood is one of the neighborhoods most hard hit by violent crime year after year in Chicago but has not avoided the healthier food fashion, with the national organic grocery retail chain Whole Foods announcing that it will be opening a store in the neighborhood at 61st Street and Halsted.